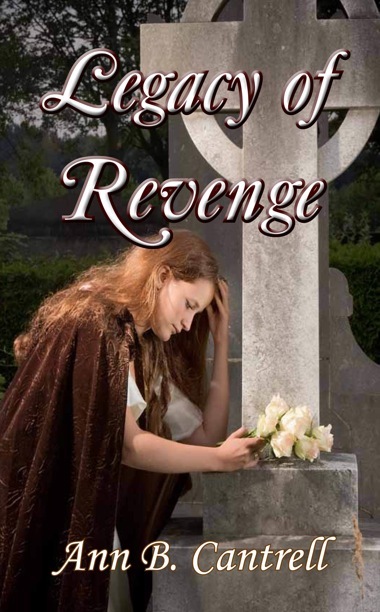 “Legacy of Revenge” is the second book of a trilogy. It begins where “Legacy of Time” ended and continues the story of Colette and Wyatt Alexander with emphasis on the romance between Jacob Alexander and Laurel Hillman. Difficult challenges hinder the lives of both couples. In the original history of 1841, Wyatt disappears and is presumed dead. Colette must find a way to keep him safe and survive childbirth in nearly primitive conditions. Laurel’s grieving father is only concerned with revenge—revenge for the wrongful death of his beloved daughter, Audrey. He complicates the situation when he changes his will and gives everything to his future son-in-law, Estephan Arturo, a greedy, self-gratifying, wicked man, who will stop at nothing, including murder, to achieve his goals. Will both couples overcome several issues—including death and revenge—and find lasting happiness? Time was on her side…or was it? right the wrong that had once been done. worry about the possible consequences later. original history, Wyatt Paul Alexander had died on October 18, 1841. Just finished Legacy of Revenge after book one had me hooked. One RN to another, way to go girl. I’ve always wanted to write and have one started and got stuck may get back to it. These books kept me going and I just couln’t read fast enough. Have to share it with the nurses I work with. Can’t wait for book 3. If all those men folks get home alive after the war I’ll be amazed. I’d love to see the plantation survive the war and not look like it did when she found it in her time. Keep on writing. I just finished reading Legacy of Time and Legacy of Revenge. WOW! What great books! I have always wanted to visit New Orleans and other areas in Louisiana but have never gotten the chance. After reading Mrs. Cantrell’s’ books, it’s now on the top of my list to make the trip. I can’t wait for the third book! I hope everyone survives the war along with the plantation itself. My family, on my mothers side many generations back, lost their plantation during the War between the States. I wish I could go back in time myself and see my family’s plantation and antebellum life. Again, great books and looking forward to the next one. As an author, you guys do not realize how much your praise inspires me. Kathy, you got me started writing again after the holidays and Richard, as a man, your words encouarge me even more. I tell my buyers that men do read romance, and now I have your comments to prove it. Thanks ever so much. I would like to purchase legacy of revenge and legacy of conflict. Where or may I do that?